We already have a thread for game deals that often includes posts about Humble Bundles, but there are great Humble Bundles covering other things, like software, guides, ebooks and comics. 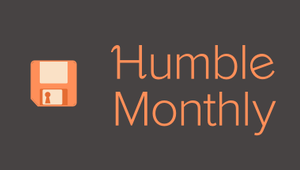 There's also the Humble Monthly where you pay $12 USD and get a bunch of random games, some AAA, some indie, and some inbetween. Lastly you have the Humble Store, where 5% of the purchase price goes to the charity of your choice. Going for the $15 tier will get you 34 comics, some being volumes collecting multiple issues. Yeah that seems like a pretty awesome deal. I've heard great things about the expansion. Also, anyone looking for Python books? Use a VPN to get Manhunt. That's what I did. Be sure to claim with the VPN up as well. And yeah, I'd have been happier with a GTAV tier too but I mainly bought this for the Max Payne trilogy. I got an email from Humble asking me to do a survey... seems they might be looking at some alternative monthly subscription arrangements.... none of which does it for me. I hate how everything has to be a monthly subscription these days, they add up for crying out loud - especially phone apps, I'd rather pay $10-15 for a lifetime licence then pay $2 a month or some crap. I'm usually not a fan of subscriptions either but if they had a AU$8/mth subscription where they let you pick 2-4 games from a list of AAA and indie titles, I could get behind that. Yeah, those were the only two games I don't have and am interested in too. Will probably miss this bundle. I got enough games as it is. Next month: Kerbal Space Program and Ruiner. Finally a bundle I can get excited about!